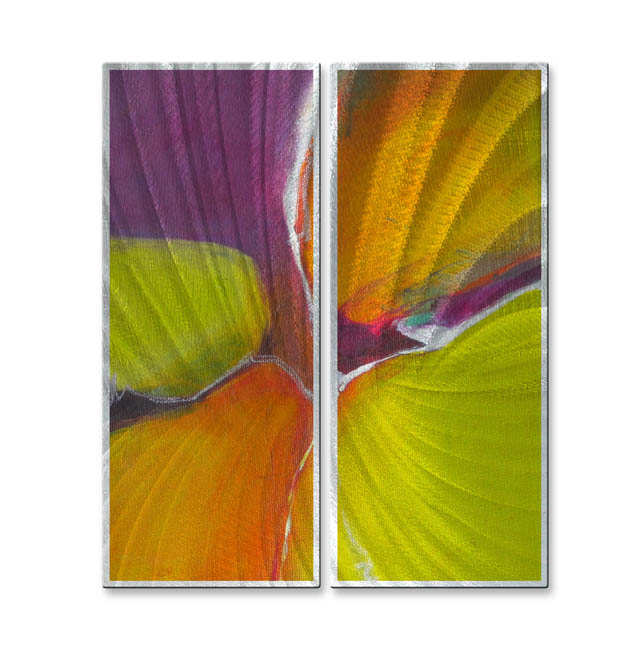 This two-panel abstract metal art is full of movement, contrast and dynamic energy. It features a saturated field of color in shades of brown with streaks of copper, gold and white highlights running through it. The highlights run in a diagonal slope and add a sense of motion; the while highlights are irregular and thin, giving them an electrified quality.